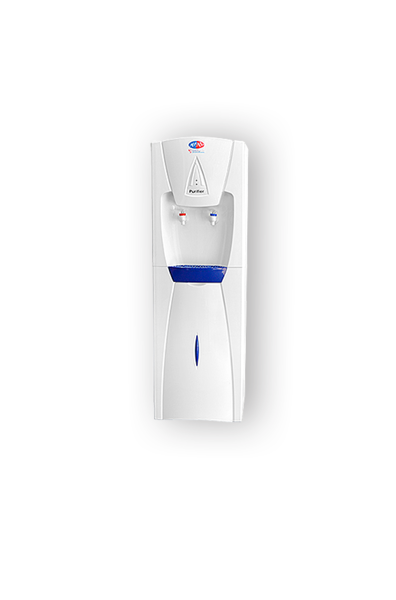 The AquAid 21st Century Water Dispenser is the largest capacity machine on the market. This water dispenser, which is plumbed into your mains supply, uses a special 11ℓ cold water reservoir which is almost 4 times larger than the tanks in other Mains Fed dispensers. This machine is a real work horse and is well suited for installation in areas where there is a very high usage or where people constantly refill their water bottles. The AquAid 21st Century offers an option of anti-bacterial taps which are specifically for use in high usage areas. These silver impregnated taps are excellent for killing bacteria, reducing the likelihood of cross contamination. This Water Dispenser is only available as a floor standing model. Market leading 11ℓ cold water tank. Installing an AquAid 21st Century Mains Fed Water Dispenser benefits not only you and your staff, by supplying you with drinking water at a push of a button, but also those in need on other continents.